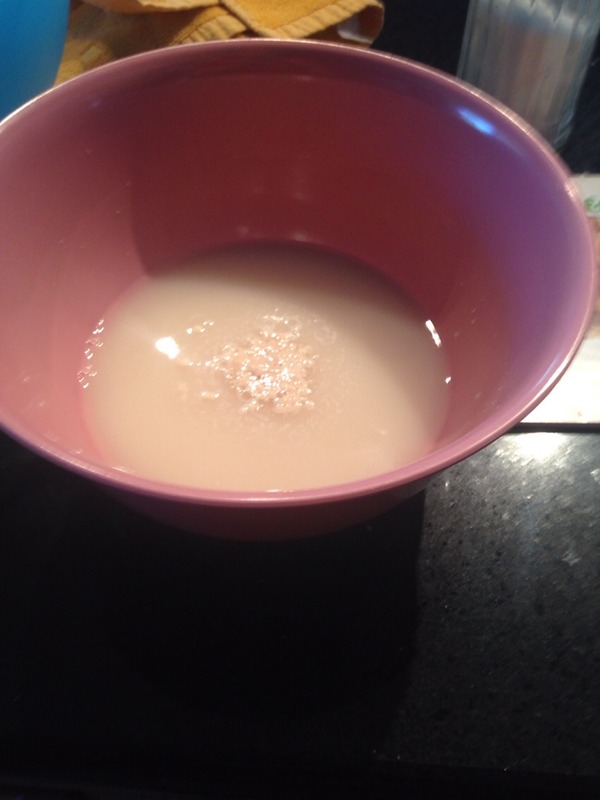 Next, add 4 1/2 cups of flour, one cup at a time. And mix. 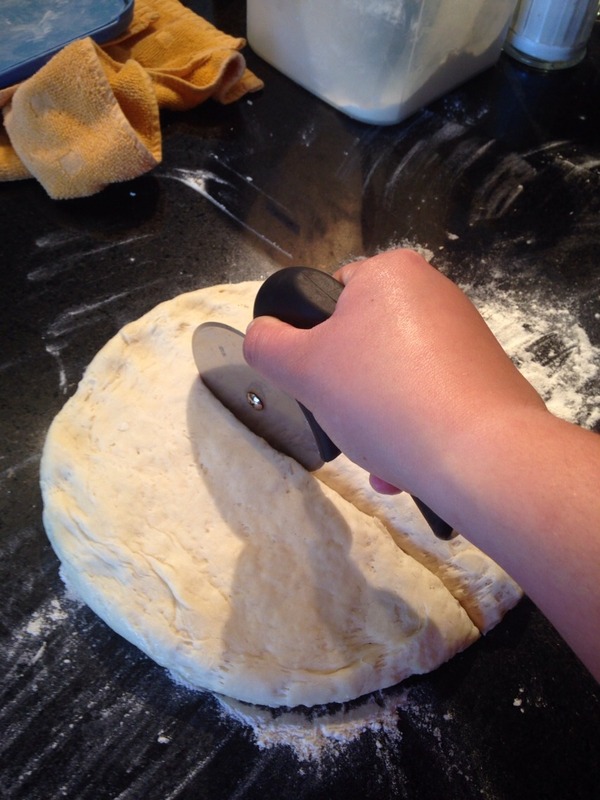 Until you have soft dough that is not sticky. 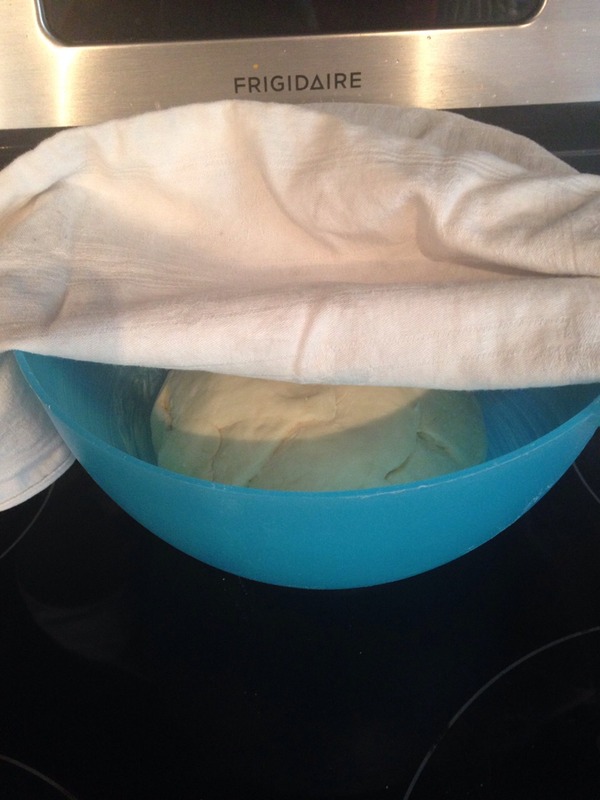 Let the dough rise in a covered, greased bowl for an hour. 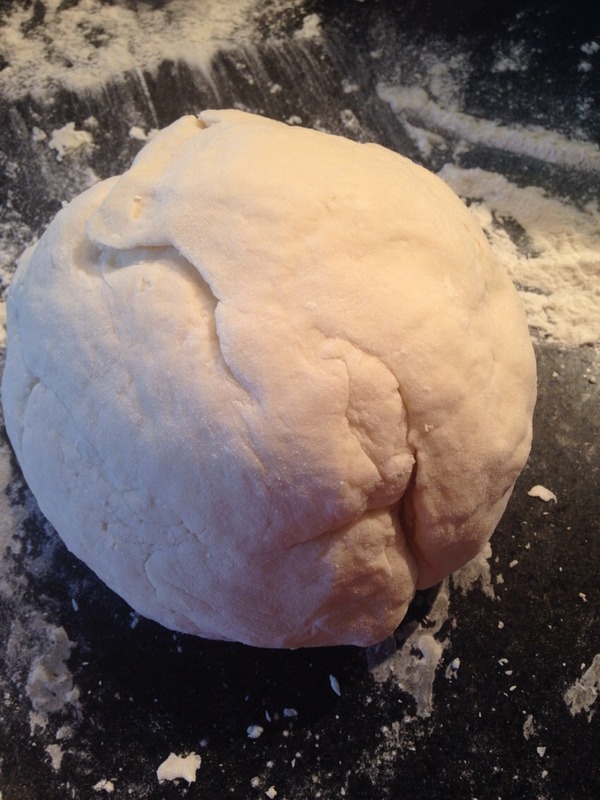 The dough should almost double in size. So make sure your bowl is big enough. 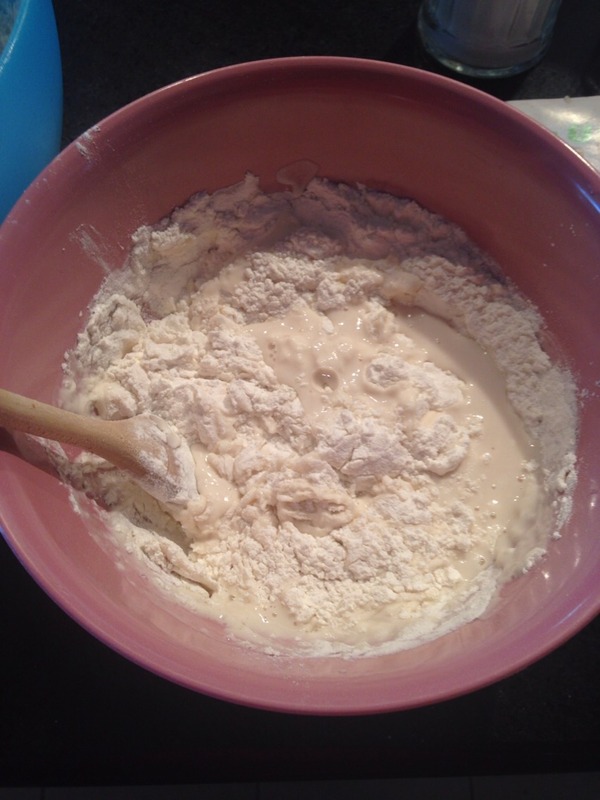 Divide the dough in 8 or 12 pieces. 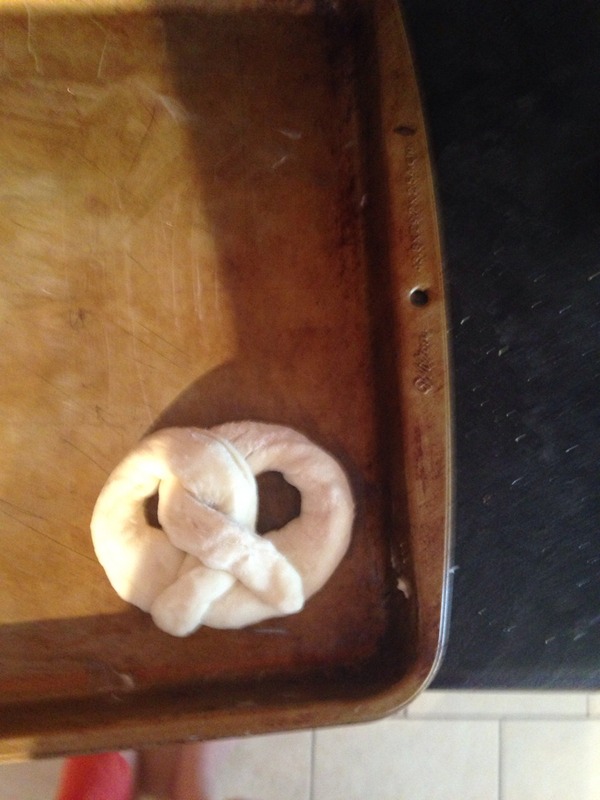 Blend together egg yolk, and one tsp of water, and brush that on the pretzels than sprinkle with coarse salt. 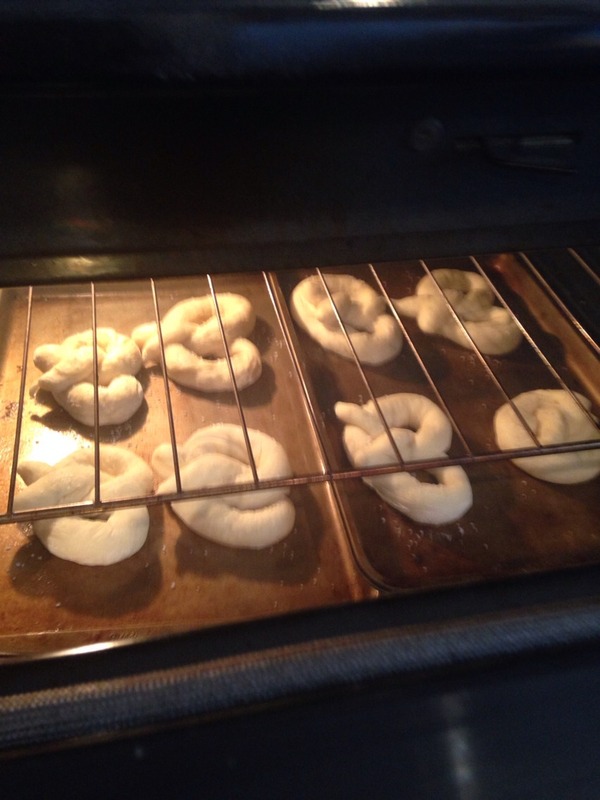 Bake for 12 minutes at 450 degrees Fahrenheit.